Mary Magdalene is one of the most influential symbols in the history of Christianity - yet, if you look in the Bible, you'll find only a handful of verses that speak of her. How did she become such a compelling saint in the face of such paltry evidence? In her effort to answer that question, Cynthia Bourgeault examines the Bible, church tradition, art, legend, and newly discovered texts to see what's there. She then applies her own reasoning and intuition, informed by the wisdom of the ages-old Christian contemplative tradition. What emerges is a radical view of Mary Magdalene as Jesus' most important disciple, the one he considered to understand his teaching best. That teaching was characterized by a nondualistic approach to the world and by a deep understanding of the value of the feminine. 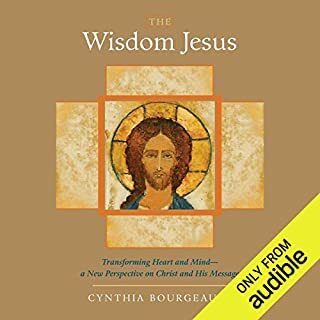 Cynthia shows how an understanding of Mary Magdalene can revitalize contemporary Christianity, how Christians and others can, through her, find their way to Jesus' original teachings and apply them to their modern lives. 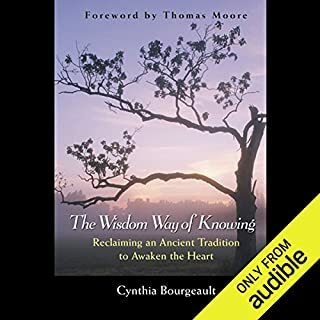 ©2010 Cynthia Bourgeault (P)2014 Audible Inc. This book has opened my eyes a little more than they were before. It has peaked my interest too. I wish to learn more. I will learn more unless my heart breaks or something before I do. Where does Audible find their narrators? This one starts out by mispronouncing the word apostolic for the first two chapters. She finally gets it right. Audible, of course, doesn’t bother to re-record the beginning. But that’s pretty minor compared with the narrator’s supremely annoying and distracting melodramatic reading style. She seems to be trying to make a serious work of theology into a trash bodice-ripper. Ugh! 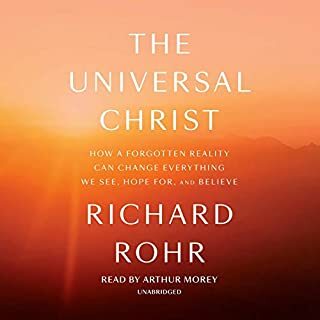 Audible, please fire whoever hired this narrator. This is among a rare few books I did not want to end. Much transmitted and offered to contemplate and then to live. Thank you. got this because I have always loves knowledge of anything surrounding Jesus. but. after just a few paragraphs of the Mary book. my thoughts were how can anyone buy into this I mean peter asking about what is matter? and the whole soul journey aounds like Dante's inferno or something. whats worth rhe author is buying into it completely. ...for bringing Mary Magdalene back to us in this 21st century and showing us the beauty and power of her silent reach into our times. As usual, Bourgeault has written a thought provoking and well-crafted argument. 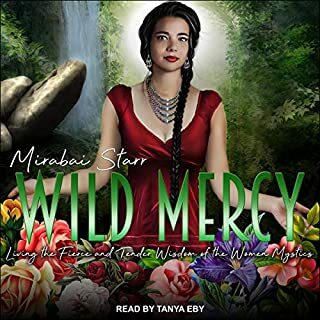 I found this book challenging, frustrating, enlightening and an overall good "read"
This audiobook has one major drawback, though, which is narrator Gabra Zackman's reading of the material, which I find is not true to the spirit of Bourgerault's writing. Zackman's tone frequently adds a layer of snarkiness or "gotchya"-style provocative flare that the material does not warrant. I noticed this because I have read Bourgealts other books and heard her speak publicly about materials I have read and her own delivery of her work is markedly absent any flavor of that condescending "oh-I-went-there-because-I-like-pushing-the-boundaries" nonsense you pick up on in Zackman's reading (not to mention the fact that Zackman mispronounces the terminology at times). 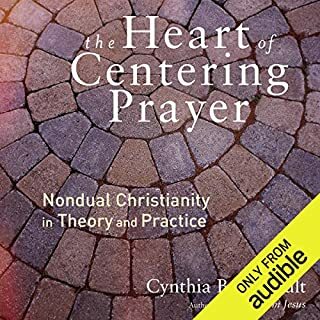 This critique holds true of Zackman's reading of "The Heart of Centering Prayer" as well, which I read and a friend of mine listened too. Our experiences of that book were completely different as a result. 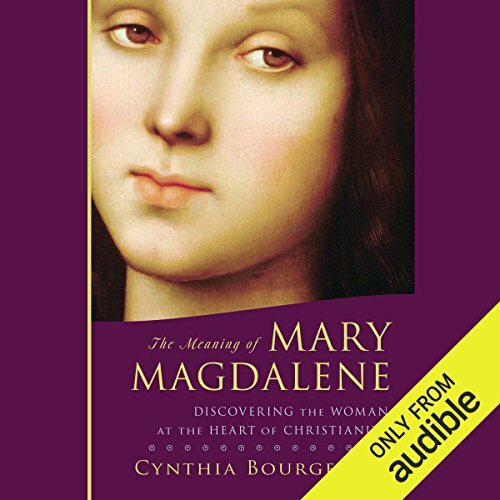 Anyone who ever wondered about Mary Magdalene should read this book. For that matter anyone interested in true spirituality should read this book. There is great insight to a lot of my questions. I'm just venturing into the Wisdom Jesus theology, and this book had been so helpful. Coming out of the Fundamentalist Christian movement left me feeling like I'd been bamboozled. This author presents the historical Mary Magdalene in a completely legitimate way. There's nothing about believing in this account that takes away from who Christ claimed to be. In fact, the addition of this information about Mary allows Christ to be more beautiful to me. 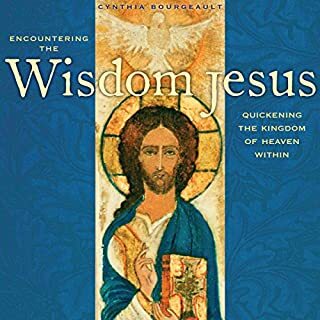 Cynthia Bourgeault does an excellent job in giving us something to ponder on the relationship of Mary Magdalene and Jesus. Gifted scholar, Episcopal priest and contemplative, Cynthia gives us a history of some of the newly discovered books written by Jesus' disciples, Thomas, Peter, Phillip ( books discovered in 1945 in Egypt) & Mary Magdalene. "The Gospel of Mary" was discovered in the late 1800's in Germany. turn into a mystical union and possibly a physical union. You can't separate yourself into different kinds of love, it's all one bundle. Whether Mary and Jesus were married is in the "eye of the beholder". Only one who has experienced this kind of relationship can come to this understanding. Cynthia, brings to the forefront the anointing of Jesus by Mary Magdalene and encourages us to look deeper into the heart, the meaning and reason for such an act of love. This symbol of transforming love par excellence. Pure creativity-connection-alignment in the realm of the unseen. Two human lovers into one union soul. The heart of Christianity. Mary Magdalene is a full member of Jesus inner circle. Yesterday, today and tomorrow. Written with heart, intellectual vigour, courage and trust in the reader to be touched by its ramifications.